Extensive thought went into the design of this gym, - our goal was to include benefits traditionally only provided from free weight training combined with the simplicity and safety of a home gym. And, we succeeded! Hundreds of available exercises from Traditional Strength Training, to Functional Training, Core Training, Sports Specific, and Rehabilitation exercises. Add the optional Leg Press/Calf for intense lower body workout. Dimensions: CLICK HERE for Dimensions PDF. 68.75" L x 62.5" W (84.75” W with Optional Leg Press) x 82.4” H .
Elite Base Frame Box 1/4: 70" x 28" x 9.5" 181 lbs. Elite Base Frame Box 2/4: 47" x 42" x 9" 178 lbs. Elite Base Frame Box 3/4: 78" x 13" x 4" 61 lbs. Elite Base Frame Box 4/4: 46" x 21" x 2" 13 lbs. Elite Base Frame Box Weight Total: 433 lbs. Weight Plate Box 1/3: 5" x 10" x 5" 50 lbs. Weight Plate Box 2/3: 5" x 10" x 7" 70 lbs. Weight Plate Box 3/3: 5" x 10" x 7" 70 lbs. Weight Plate Box Total: 190 lbs. Elite Leg Press Option Box 1/1: 64" x 25" x 7" 123 lbs. * the total does not include 80lb. pallet weight. I purchased the Elite (with leg press) in January 2018 and held off writing a review for seven months so that I had a significant period of time to use it. It’s a very good gym. Well-constructed. Easy to use. Looks very nice. The Elite has an excellent range of exercise, allowing you to rotate activities from day-to-day. The accompanying DVD alerted me to exercises that I likely would never have thought off. Each of the exercise vignettes is very good, though I would have liked the video for each vignette to automatically replay at least a few times so that I didn’t have to cursor up and hit replay repeatedly. I had had a BodyCraft Strata and had hope to be able to purchase another, as it was a more compact unit. Although disappointed, BodyCraft’s Jon Wolf took the time to walk me through the various new gyms that were available, contrasting the features with what I had with the Strata. That made the buying decision significantly easier for me. The only recommendations I have for BodyCraft are: modify the DVD (as already noted), bring back the wall workout chart (really miss that), and add a second ankle strap so that you could put one on each ankle at the beginning of your workout. The ankle strap that did come with the gym was significantly more comfortable than the one I had with the Strata, though I wish it was a tad bit longer given the size of my ankles. All-in-all, an excellent gym and workout. Financing through the 3rd party proved to be a bit challenging but Jon at Body Craft was able to put me in touch with a direct number to the 3rd party financing manager and we were able to uncover a software issue that was preventing my approval. It was a brand new 3rd party financing partner at the time of my purchase (Dec 2014). If you have any issues or questions with placing your order Body Craft’s customer service and sales team is top notch. Delivery took about a week longer than quoted. This was understandable due to the Christmas shopping/shipping season. An event occurred during transit that resulted in my packing being separated and the weights were missing once I got everything home. Again, Jon in sales was super helpful. Body Craft takes digital photos of every shipment that leaves their warehouse. With this proof the freight company double checked and “found” the weights sitting on a separate pallet at the loading dock. Recommend counting your packages very well. Start to finish, assembly took me about 12 hours. I was able to put the machine together on my own; however there are certain points that it would be beneficial to have a partner. The instructions are very easy to follow. There are a couple of enhancements that could be made for better accuracy (some parts were pre-assembled, but listed as steps to be performed). After two months of solid use I still am excited to get on this machine each day. 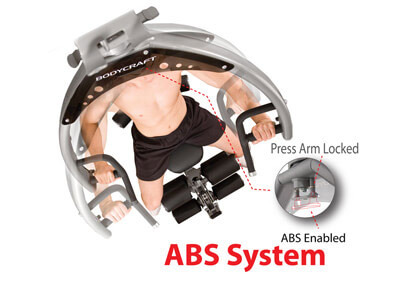 It is constructed with the highest quality you could expect for a piece of exercise equipment at any gym. The movement is smooth and cable/pulley system is flawless. Body Craft customer service is incredible and very responsive to any questions or concerns that I brought to their attention. I would 100% recommend this company and, in particular, this piece of equipment to anyone that is dedicated to use it. I hope this review is helpful.